I feel a deep gratitude to the people I have met along my travels. Not all of them, of course – but most of them. Often desperately poor, some became my friends with whom I’m still in touch, a few were my guides and fixers, others shared with me what little food they had with them, many indulged me by letting me take their photograph, most greeted me, a total stranger, with a smile. I’ve intruded on their holy festivals and rituals, taking pictures from which I earn a living selling books and prints. How welcoming would I be if some poor Tibetan or Ethiopian disturbed me during my morning meditation by sticking a camera in my face? I do my best to be as sensitive and respectful as possible. If I’m going to be noticed I always ask if I can take a photograph by quizzically lifting my camera. Sometimes I’m told no and I respect that. 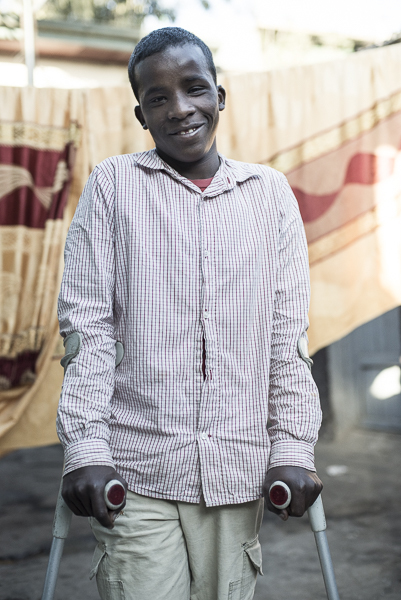 I try and capture the beauty and dignity of the people I photograph, whatever their circumstances. And I also seek to give something back by doing charity work if I can in the countries I’ve visited. 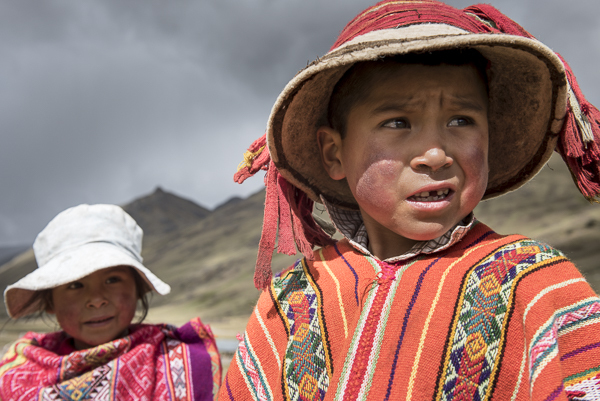 A couple of the recent charities I have photographed for have been Threads of Peru (http://threadsofperu.com) and Give a Future (http://www.giveafuture.org.uk). 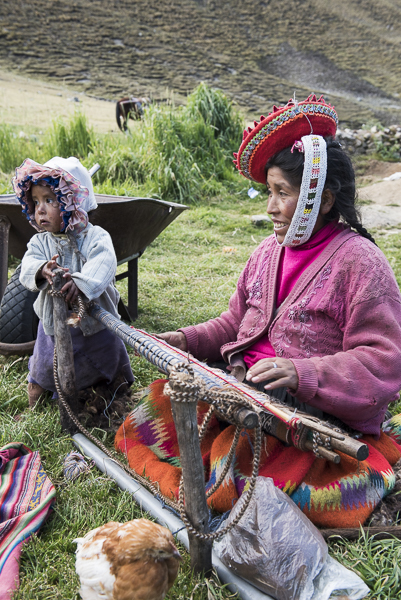 Threads of Peru is a a not for profit social enterprise that asked me to photograph a community of hand weavers in the Lares Valley that they support by marketing their traditionally crafted garments to the world beyond. 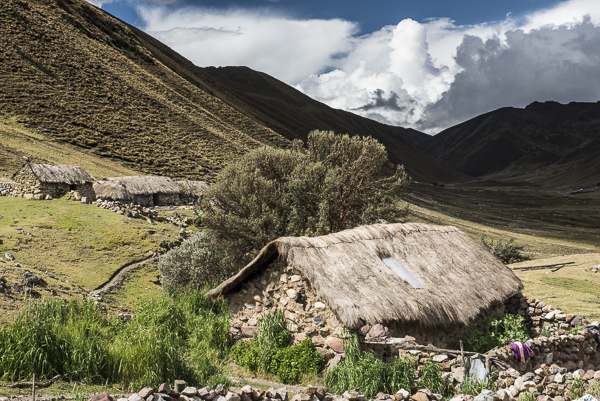 I spent three days trekking through the valley, at an altitude of over 4000m, meeting no one but the local villagers along the way. Their lives are tough, especially during the winter, when they can be snowed in for months. 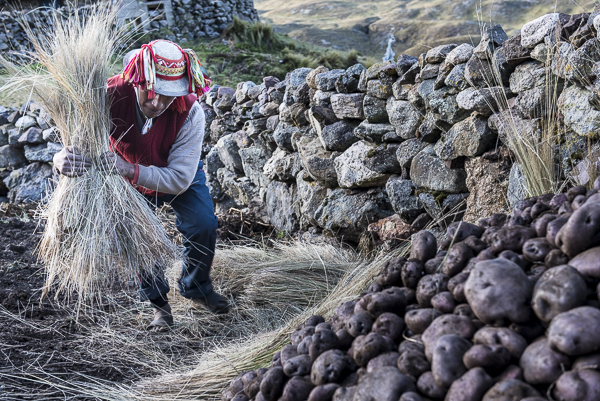 Living in stone thatched cottages, growing potatoes and hand weaving, they seldom venture beyond the valley. 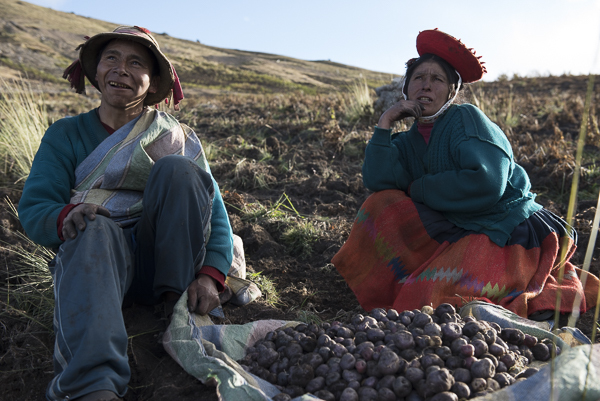 Alongside the hand weaving, most villagers of the Lares Valley farm potatoes, one of the few crops that will grow at an altitude of over 4000m. 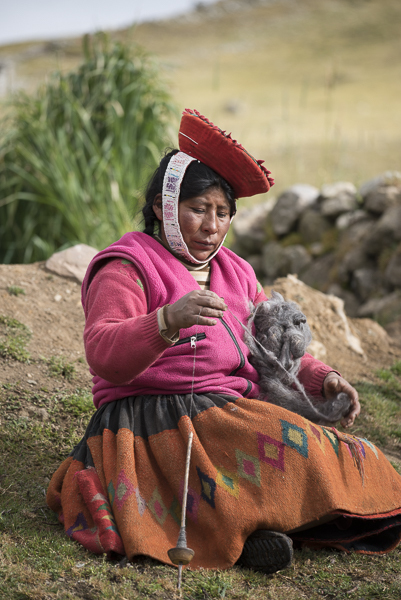 This does not provide for a varied and healthy diet however, so an income from the hand weaving does enable the families to buy produce from the markets in the towns below the valley. 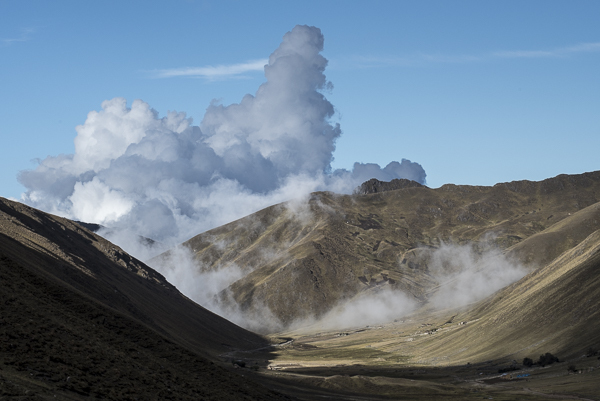 A six hour trek on my last day brought me to Lares Springs – a world apart with their hot springs and showers. 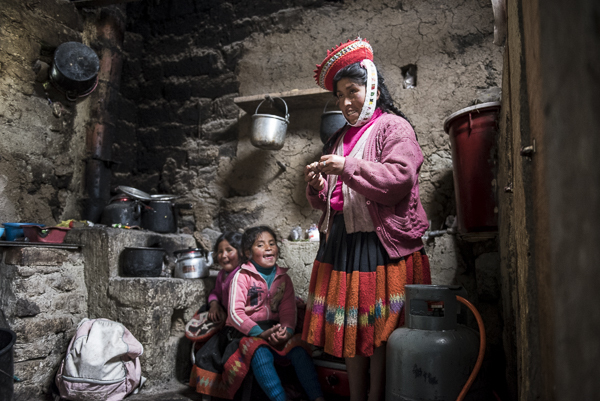 It was a welcome relief from the altitude and the cold but I very quickly grew to miss the simplicity of the life and the hospitality of the people up in the Lares valley. 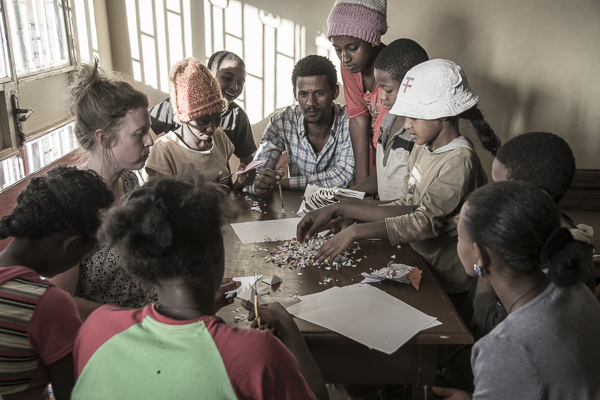 When I was heading out to Ethiopia I was put in touch with the founders and directors of “Give a Future” (http://www.giveafuture.org.uk/) and “Lalibella Made in Africa” (http://www.lalibella.co.uk/). 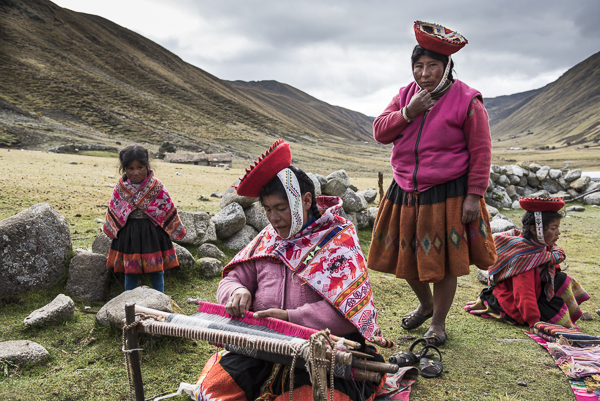 Lalibella is a social initiative that works in a similar way to Threads of Peru, supporting indigenous traditions by marketing their vibrant textiles and creatively designed clothes and accessories. 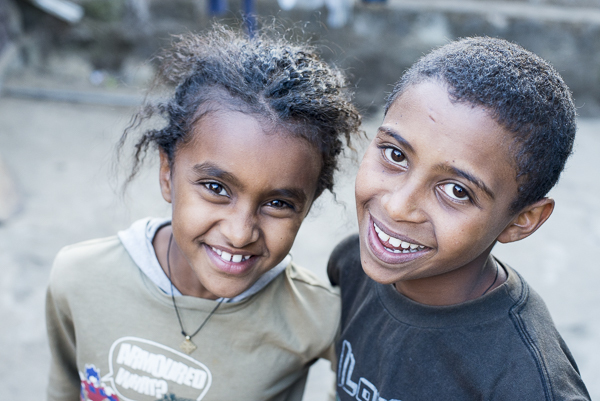 Give a Future is a charity that provides homes and education for orphaned children around Addis Ababa. Even though my father spent his life working in development projects in Africa (and in particular in Ethiopia on afforestation programs), I’ve often been skeptical about the endless and growing number of charities in Africa, of friends asking me to sponsor them as they cycle across Namibia (sounds like a lovely holiday to me) and particularly in government aid which seems to have done too little to actually help the poorest countries since they achieved independence in the sixties and seventies. Reading Paul Theroux’s “Dark Star Safari” and his cynicism regards all the UN workers racing around in their white Range Rovers only accentuated these beliefs of mine. “Trade not aid!” I believed, and still do. Give these countries the right to trade on a equal platform with the developed world. Why do I never see an African banana or sugar in the supermarkets? Why are our clothes not made with African cotton? 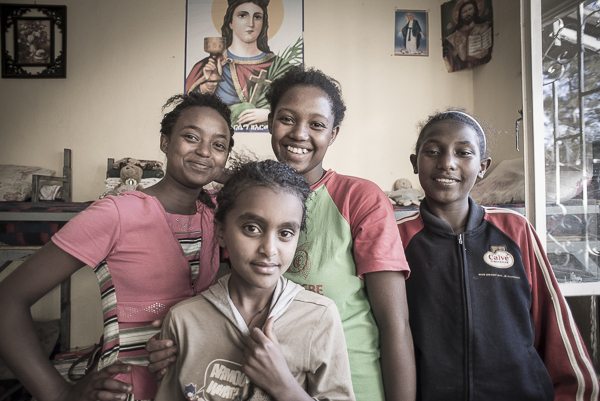 However, all this theorising was blown aside when I arrived in Addis and on my first day made my way to one of Give a Future’s homes. There was no denying the tangible difference that this home was making to these kids’ lives, nor to the sincerity of those running them. Aware that raising a child is a long term project, and that offering a roof to an orphan for a few months or years may only offer a short term benefit, the charity, as well as running the homes, offers scholarships, vocational training and micro finance loans through well thought out, local programs that really do give a future to those that are lucky enough to benefit from them. It was a blessing to witness. © 2019 Chris Roche Photographer All Rights Reserved.